More often than not, the internet is the ultimate source to buy our favorite clothes online. As the fashion trend is emerging day by day, youth are very conscious about how they wear and what they wear. Everyone is looking to purchase some fashionable and trendy looking clothes. Even though there are a variety of choices available in the market, most of the times, they won’t satisfy with what they have. Instead, they prefer to have our own style for clothes and apparel. If you love fashion and want to design your own clothes online, you came to the right place. 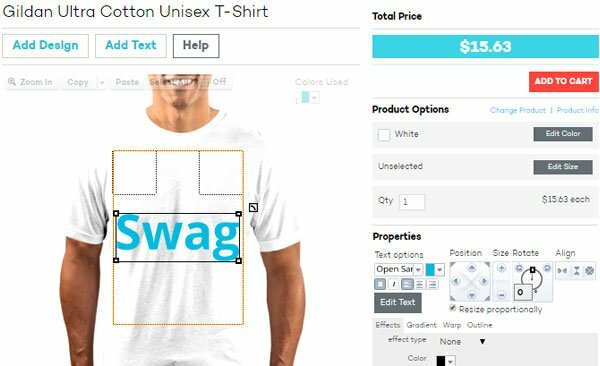 In this article, you’ll discover a new way to design your own clothes online using some awesome websites. start with a little imagination and design your own custom T-shirts, Sweaters, Hoodies and Hats online. The best part is, these websites also provide a facility to purchase your custom designed clothes online. Are you excited to try these websites? Ok, without wasting much time, Let’s look into the list of top 5 websites that will allow you to design your personalized clothes online. Apliiq is one of the best places to design your own clothes online. at Apliiq, You can create designs for men, women, and kids. Just upload your artwork and start customizing your selected apparel to wear. they will also give you many resources for artwork to start designing your own clothes. when you are done designing, you can view the price and purchase your customized items. you will be able to design your own custom Hoodies, t-shirts, sweaters, and hats. Here at Apliiq, everything is perfect from fabric to stitching. Spreadshirt is one of the best clothing design websites where you can apply your creativity to the top quality fabrics. Design your personalized T-shirts, sweaters, aprons, bags, and lot more with images and custom text. Here, you can also buy the items that made from your own designs. this is a great website, especially for custom women clothing. women can design clothes like tops, gym wear, sweatshirts according to their taste. It is very easy to create your own clothes with this website. you just need to select your favorite cloth and artwork to put on. then you will reach to the design software where you can edit your design. Here, you are not limited to create your own designs but also you can sell them on this website. Cafepress is another popular and well-known place to design and purchase your personalized clothes online. Just upload your artwork and their design tools will quickly add it to hundreds of top quality products. they will even allow you to purchase your designed items. Here, you can also sell your art to the community all over the world. 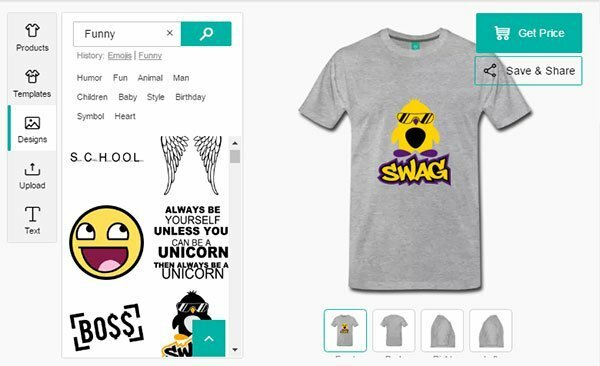 Inkeasy (formerly known as Neighborhoodies) is a great website where you can design your custom clothes and purchase them online. You will have HTML and Flash designing tools with them. Just select one of them and Upload your artwork or text to start designing your product. they will offer different templates for geeks, sports, holidays, and events parties. You can use this website to Create custom clothes for your teams, groups or events.if you are from India, http://www.vistaprint.in is a great website to purchase your personalized clothes online. These are some great websites to design your own clothes and purchase them online. If you have some designing skills you are good to go. I Hope it was helpful. If you find any useful websites for designing clothes online please let me know. If you liked this information, please share this with your friends on social media. and don’t forget to subscribe to our email newsletter for more latest tips and tricks.